Oh my godddd. It's so beautiful! I apologize for the triviality of the question. I have been sligthly out of touch during the last few months. Is there a specific reason for the 2017 daily calendar (which by the way does not reiterate the usual pun「姫クロ」) not being available through normal channels (e.g. amazon.co.jp)? It is perhaps already out of print? I have it on backorder at CdJapan, which lists it as a special request. I'm new here, so I apologize if this has been answered before. I will be in Japan at the end of March (1st time btw!! 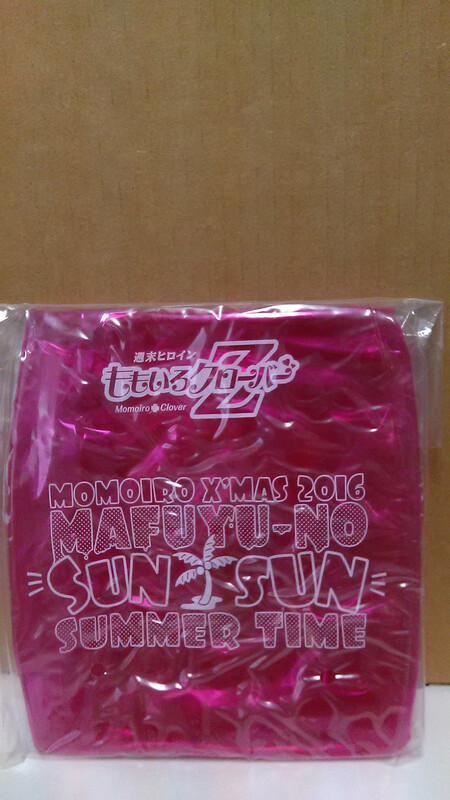 ), and wanted to know if there's any physical store where I can buy any MCZ goods. Welcome to the forums! There aren't really any official stores where you can buy MCZ goods, but there are several stores in Tokyo at least that sell used idol goods, in good quality. Many items aren't even used once. There's a chain of stores called TRIO that specialize in this. You can find a great one in Harajuku in Tokyo, that has lots of MCZ stuff. They also have stores on Nakano Broadway (there's like three different stores in that mall, one of which sells MCZ stuff), and in Akihabara. It will probably be hard to find the most recent stuff (such as the merch for this year's spring concert that will just have been released when you go to Japan), but some older stuff will be there. The really old stuff is probably going to be quite expensive since it's so rare though. Thanks for the info! I have googled the addresses and added them to my destinations, it will be fun to go hunt some stuff!! I was going to upload some pictures of my Momoiro Clover Z Tojin-Sai 2016 Onigashima Blu-rays when it came out but I was sick. Here they are now. And my Kanako Oni Mask. I got the pink beach ball with mine.